U.S. Customs Trade Compliance | Pacific Customs Brokers Inc.
Due to recent world events, international trade has been subject to a host of threats and hazards such as natural disasters, accidents, or even malicious attacks. The growing risks and complexities of global trade have caused governments around the world to place stronger emphasis on cross-border security. While new regulations and heightened security have helped create a safer trade environment, they have also resulted in tighter processing times, increased audit and compliance activity and greater costs to importing goods. In recent years, the U.S. Customs and Border Protection and Canada Border Services Agency have shifted much of their emphasis from import inspections to post audit verifications. The responsibilities put upon Importers of Record have steadily increased as all members of the supply chain endure higher scrutiny from Customs officials. Now more than ever it is imperative that the Importer of Record maintain a high level of sophistication, demonstrate due diligence, ensure they understand their responsibilities, implement internal sets of controls and procedures for best practices as well as understand the consequences of non-compliance. Pacific Customs Brokers believes that the current regulatory environment demands active participation by every member of the international trade community. The laws governing cross-border trade continue to become increasingly complex, and this requires ongoing and continual improvement in voluntary compliance, through awareness and education. Learn more at one of our many Trade Compliance Seminars and Workshops. Pacific Customs Brokers strives to assist our clients with managing the risks of importing and improving efficiencies in their processes, with emphasis on a thorough understanding of regulations. Our experienced trade compliance specialists are continuously engaged in improving best practices in order to meet the needs of your business. U.S. Customs and Border Protection has clearly identified that importers have the responsibility of knowing and understanding import regulations and their obligation to file corrections to declarations of origin, tariff classification and value for duty. Importers are expected to utilize reasonable care and due diligence to achieve compliance with import regulations. For example, short shipments require an importer to file a correction with U.S. Customs and Border Protection. Are you contacting your customs broker to file the amendment? Pacific Customs Brokers will work with you to develop a solid program of controls, procedures, best practices, self-auditing and ways of reviewing your systems with the goal to promote compliance and assure prompt correction of any shortcomings, in addition to identifying potential risk factors. 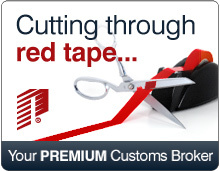 Should your company get selected for a Customs audit, Pacific Customs Brokers can help. Please contact us any time you receive correspondence from U.S. Customs and Border Protection. Our trade compliance specialists have the expertise to prepare and guide your business through the audit process and avoid incurring further penalties. We will work with you to review your profile with U.S. Customs and Border Protection, provide guidance methods to assure compliance, help mitigate risks and ensure your company can withstand a Customs audit. Whether your business is importing goods as a resident or Non-Resident Importer, every importer should be aware that your business could potentially be subjected to a Customs audit. To learn how Pacific Customs Brokers' Customs audit consulting and assistance can help your business; speak with one of our trade compliance specialists today.